You may be able to tell from the outside that this building was specifically built for one purpose and one purpose only – to house a ship. Well OK, either a ship or a really large tent. The Norwegians, however, are more famous for their ships, and one ship in particular: The Fram. Here she is, nestled tightly inside. The Fram is a three-masted schooner with auxiliary steam power, and the first vessel designed to winter in the polar pack ice. Her hull was shaped so that no matter how strong the pressure of the ice, she would not break up. She would freeze into the pack ice and drift with it. 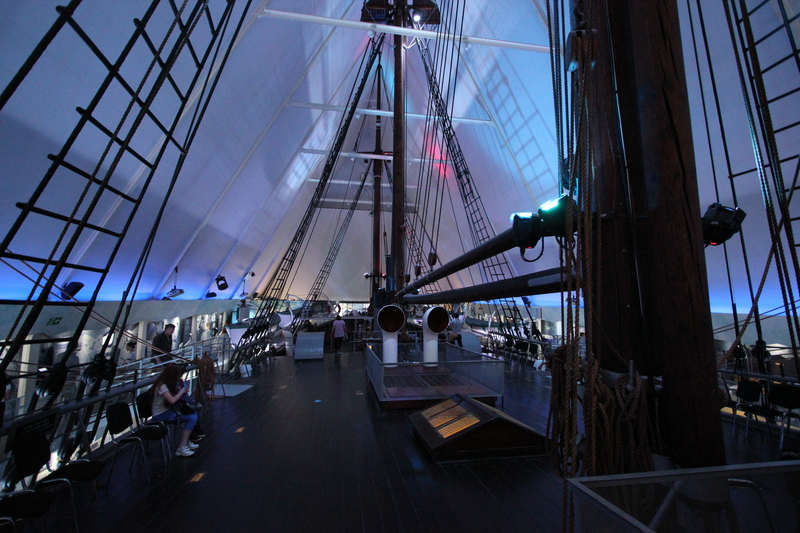 The Fram is believed to have sailed further north and further south than any other wooden ship. 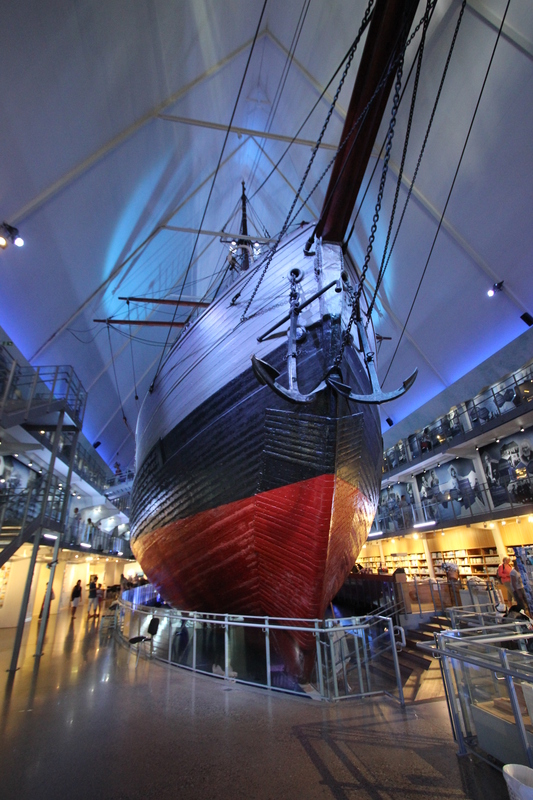 The Fram was the brainchild of a famous Norwegian explorer, Fridtjof Nansen. 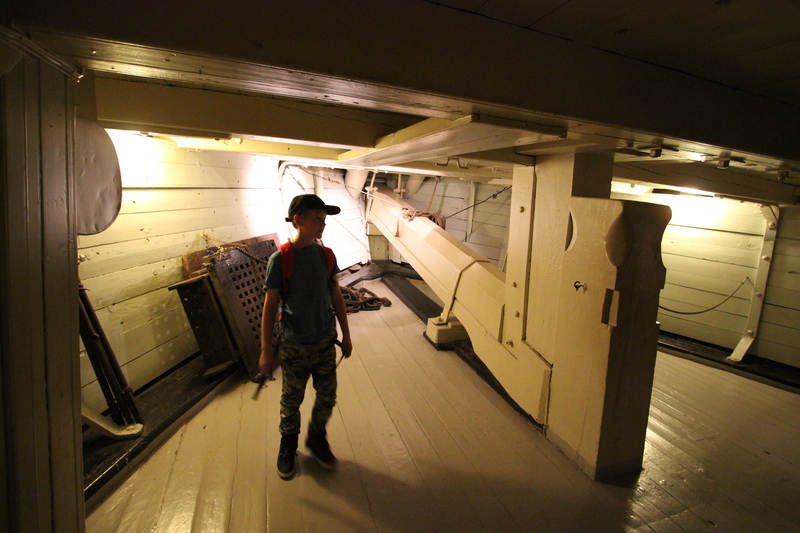 He believed there was a polar current flowing towards the east coast of Greenland, but In order to prove his theory he needed a ship that would withstand the pressure of the ice and so drift with it. The Fram was his answer. In 1893 he set sail, reached the ice, let his ship freeze in, and began to drift north. When he reached the furthest point to which he thought the ship would drift, he left it and sledged across the ice to latitude 86° 13′ N, thereby setting a record for the furthest penetration north at that time. 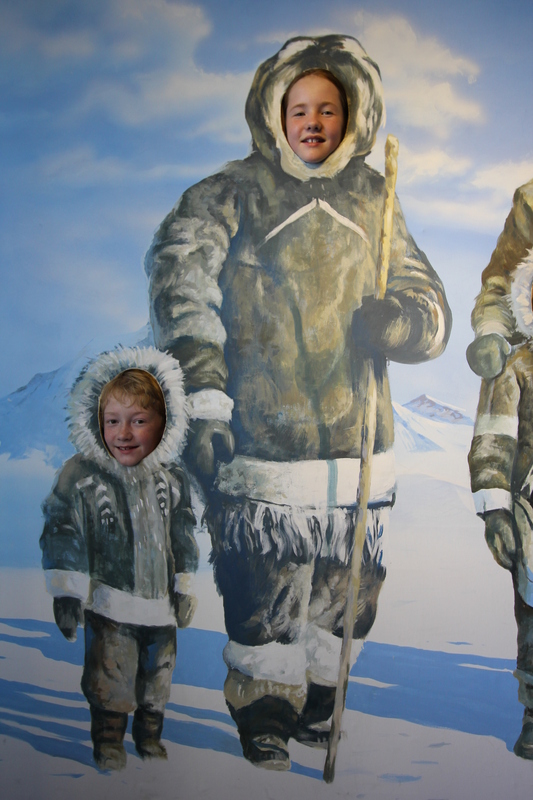 After this he turned south to Franz Josef Land where he wintered and was picked up by another expedition in 1896. 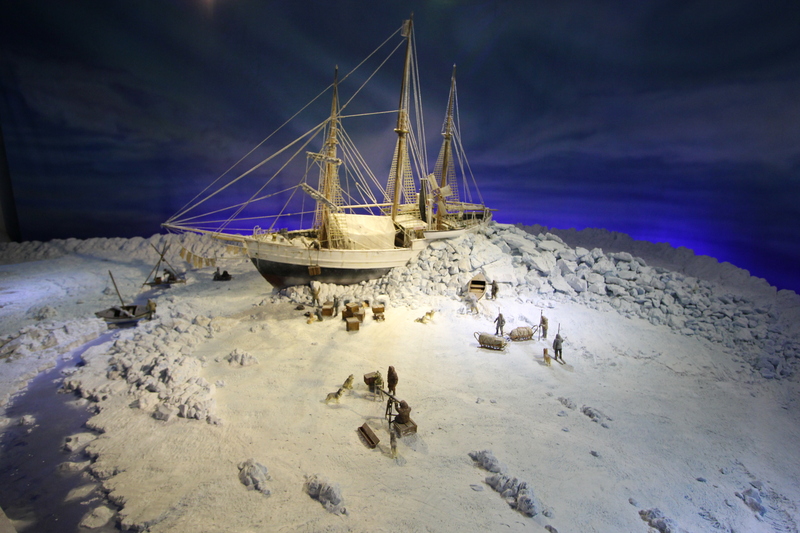 The museum had many models of the expedition which I particularly liked. As for The Fram herself, she is there to be explored. 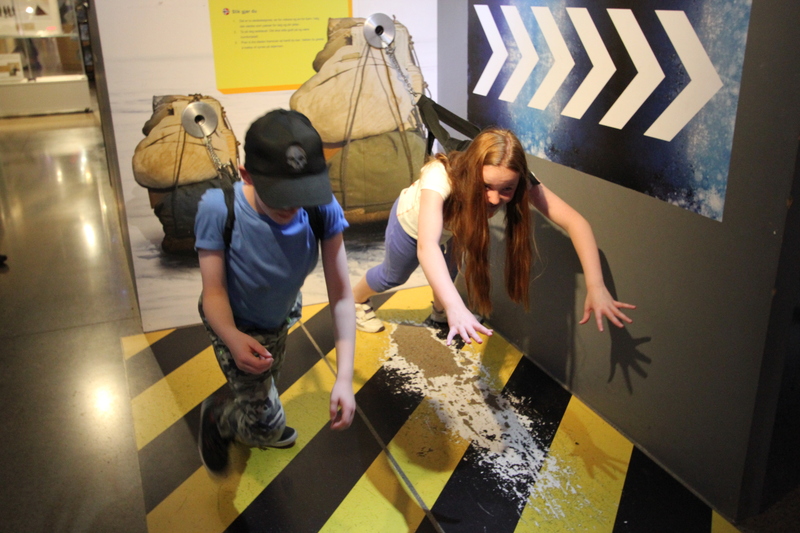 They also got to try their hand at seeing how easy it was to pull a fully laden sledge. 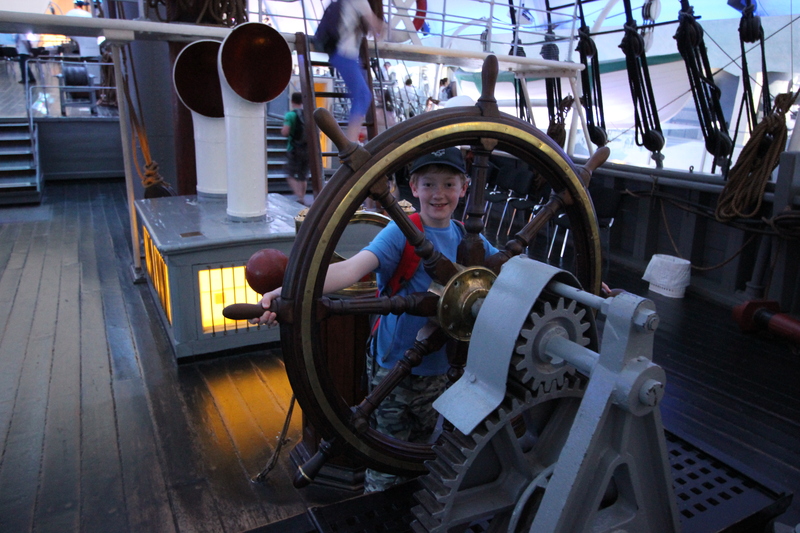 We couldn’t spend long in the Fram Museum (regular readers of this blog will know there was a bit of back trouble going on at around this time), but it was well worth the trip. 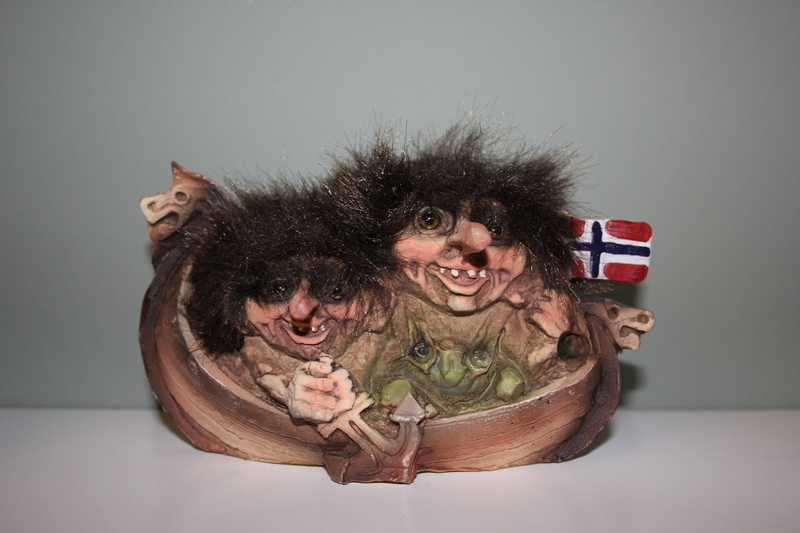 We even found a souvenir depicting our children in Norway! 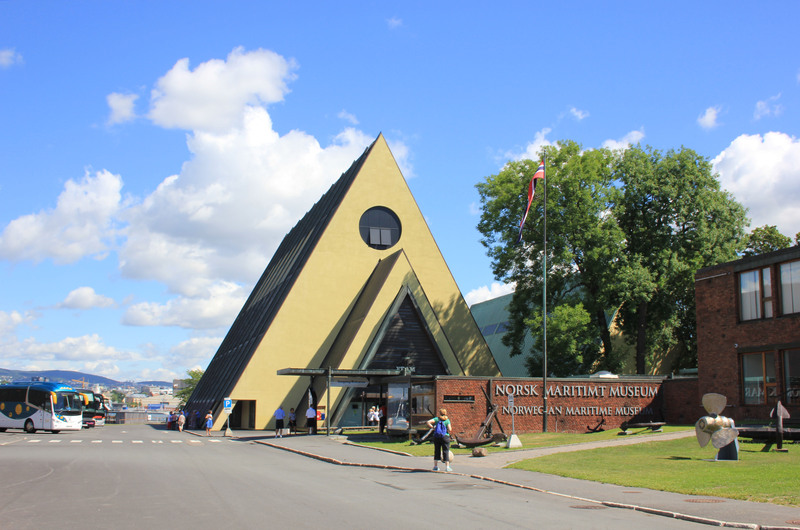 This entry was posted in Norway and tagged Fram, museum, Norway, Oslo, polar, travel. Bookmark the permalink.